Wheat Grass, Spirulina, Aloe Vera, Barley Grass, Green Tea, Kale, Alfalfa, Mixed Berries, Sprouts, Fruits, Vegetables & Probiotics. 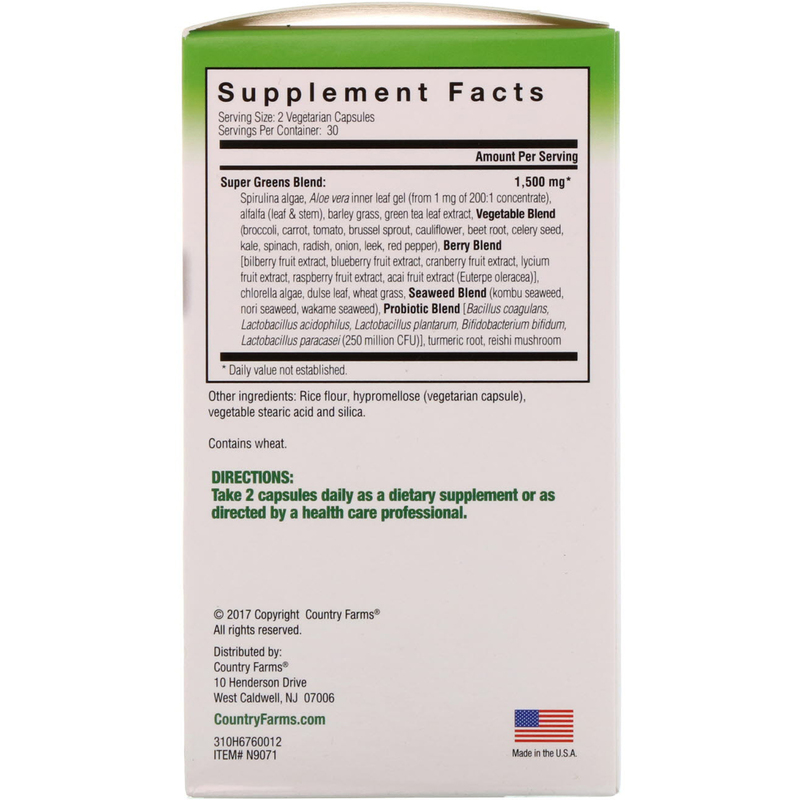 Country Farms Super Greens capsules combines high quality natural ingredients to deliver the building blocks and important elements of nutrition that are essential to your body's health and well-being. 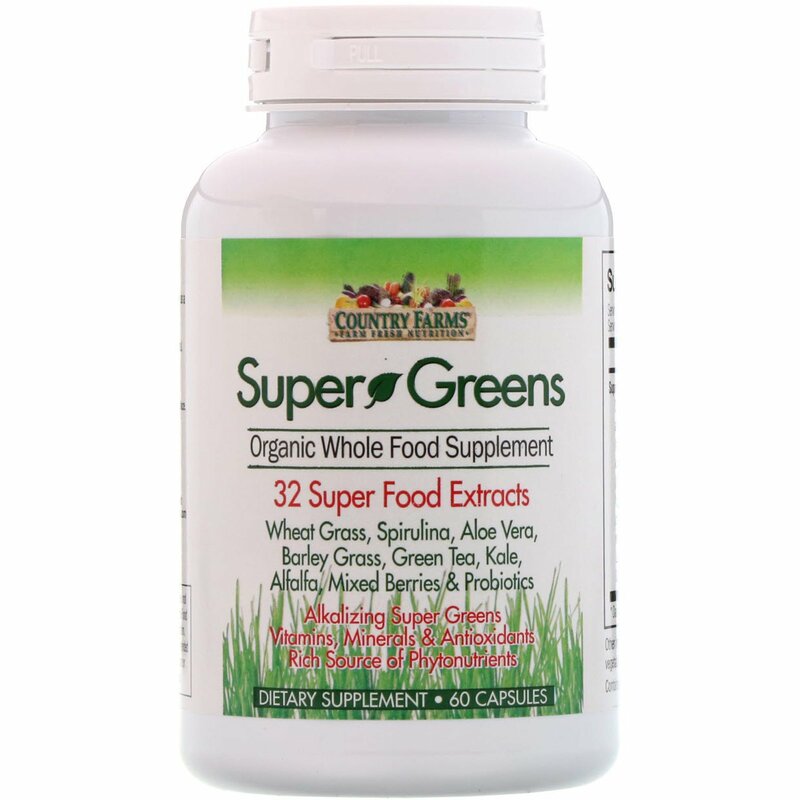 Super Greens capsules provide you with your daily fruits, vegetables and greens to help aid with digestion, enhance your immune system and boost your energy. Super Greens high-quality capsules contain a high phyto-nutrient content and includes 32 fruits and vegetables including wheat grass, kale, barley and mixed berries. 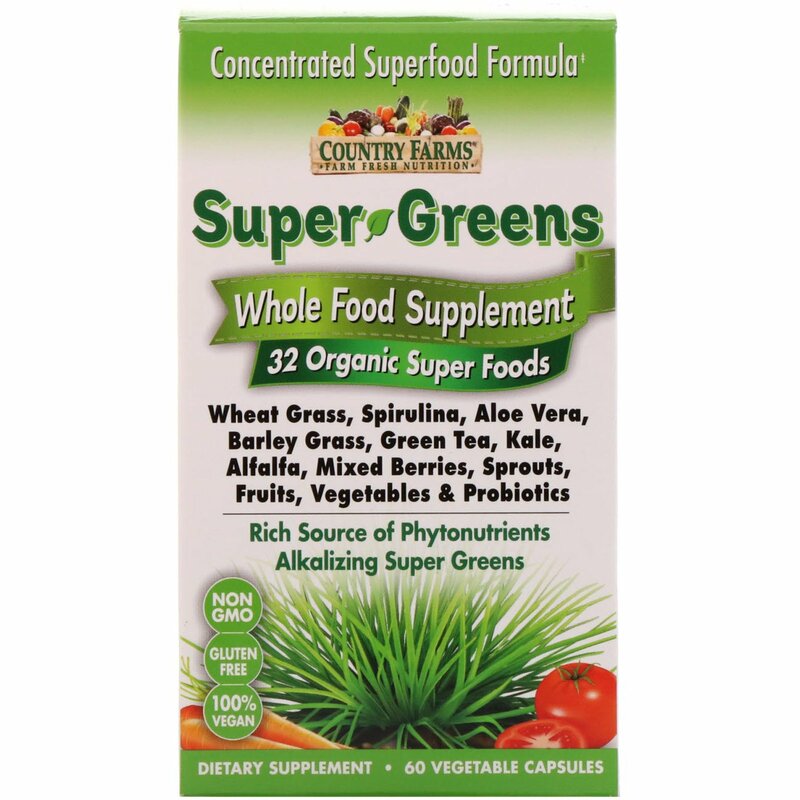 Along with aloe and probiotics, Super Greens will provide you with vitamins, minerals and antioxidants that are essential to help sustain a healthy lifestyle. Take 2 capsules daily as a dietary supplement or as directed by a health care professional. Rice flour, hypromellose (vegetarian capsule), vegetable stearic acid and silica.